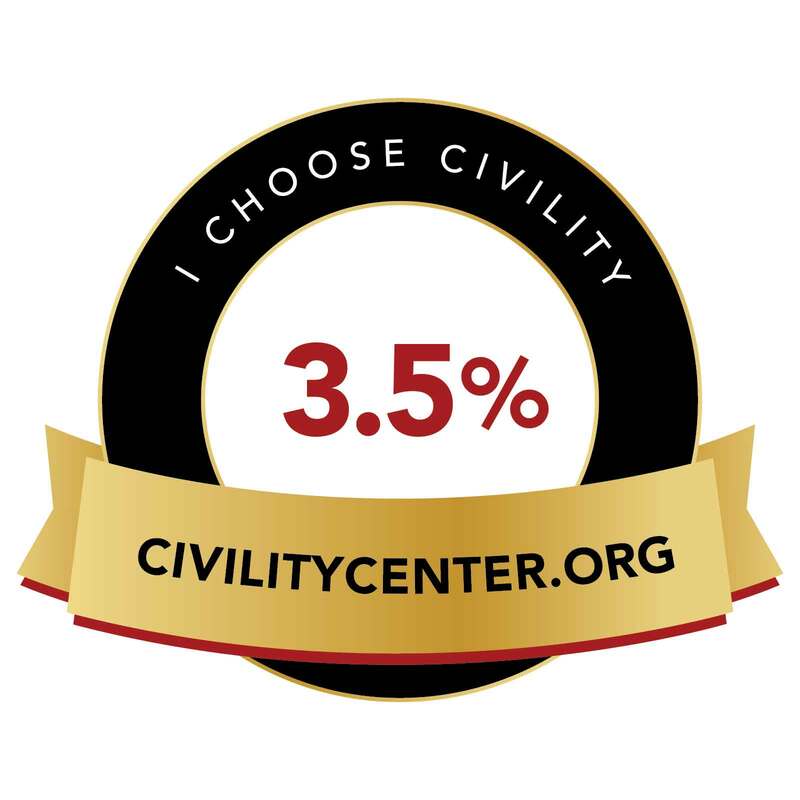 3.5% Choose Civility – is the 2018-2019 Civility Community Initiative. This initiative is based on research showing that all it takes is 3.5% of a population engaging in a non-violent campaign e.g., civil resistance, to make significant change. Our goal is to ask active, engaged civility-minded individuals and organizations to show their support and participation in our “3.5% choose civility” initiative. Please sign the Golden Rule Civility Proclamation and then post it on your social media with hashtags #3.5choosecivility, #3.5civilresistance, #3.5civilitycenter and/or #goldenrulecivility. Please also consider supporting The Civility Center by becoming a member of the Civility Center training. You can list your civility events on the Civility Calendar for free and also have access to over 1000 Civility tools and supports. By choosing civility and/or becoming an Ambassador, you are engaging in civil resistance… all we need is 3.5% of the population- in a community, in a workplace, in a country, or in the world to make positive change. 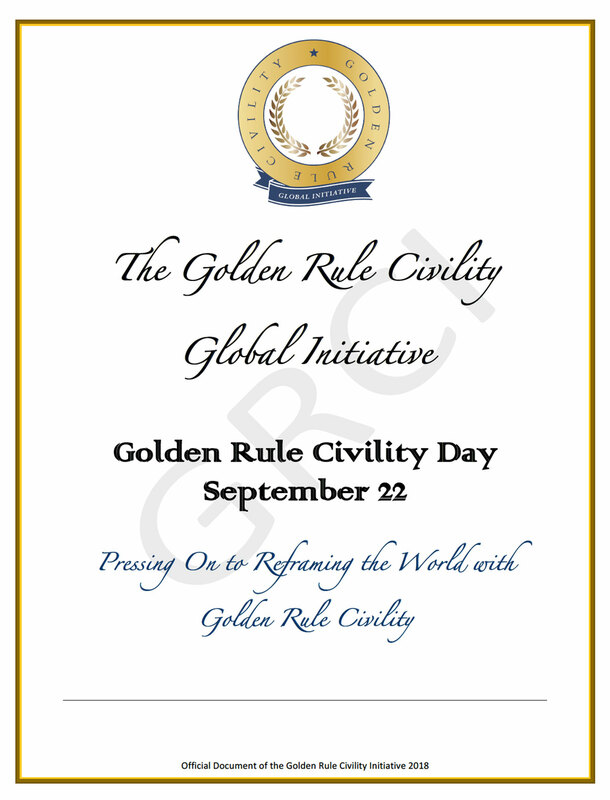 Download the Golden Rule Civility Global Initiative Proclamation LB, sign it, scan it and email it to events@civilityexperts.com. And Watch the World Change!